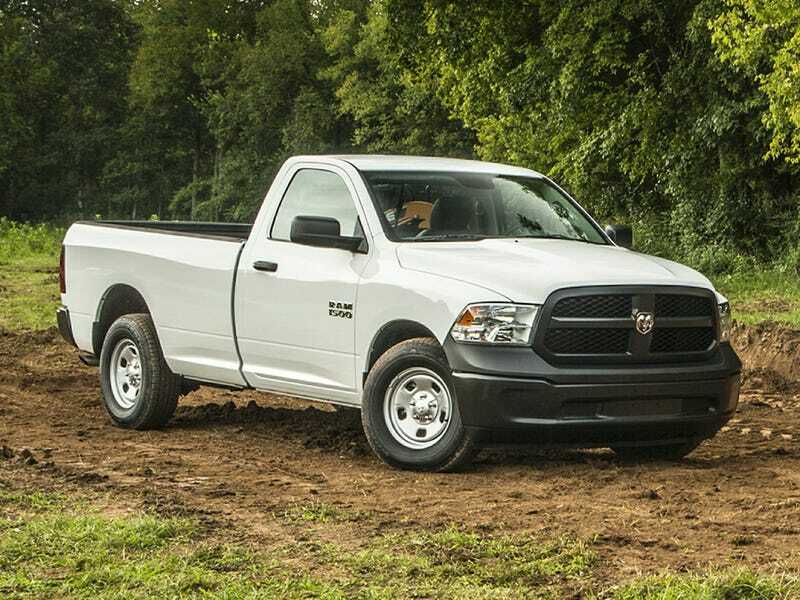 On vacation, nothing better to do, went to the local Dodge/Ram dealer... they had a 2016 RAM Tradesman 4x4 5.7 Hemi standard-cab long-bed for $27,700. took it for a drive, because test drive... hides its mass very well. Good brakes, nice steering, that 8-speed transmission is seamless, rides well even without a load (thanks coil-springs!) and it’s surprisingly quiet and refined in general. For a “cheap” work truck it’s really quite nice. Comfortable seats too. My only real complaints were that the average fuel economy we saw on the test drive was 9.5 MPG, and the hood disapears before the end is visible, making the front end of the truck a little intimidating to position close to things.